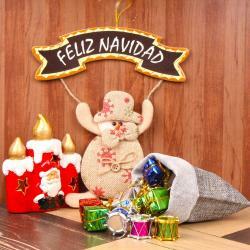 Product Consist : Floral Wreath along with Merry Christmas Banner and Pillar Candle with Christmas Greeting Card. The festival of Christmas reflects the cultural unity of India as on this auspicious occasion, the whole nation comes together and celebrates the birth anniversary of Jesus Christ. 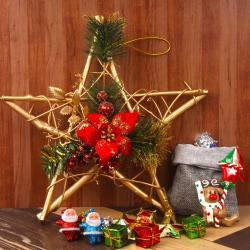 Giftacrossindia comes with variety of items for Christmas gifting. 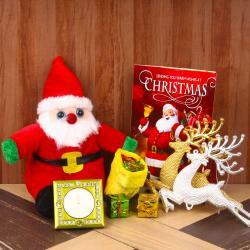 This hamper you can gift to your friends to India which includes Merry Christmas Banner, red color wreath along with a candle and Christmas wishes card. So, buy it for you and your loved ones now on just one click. 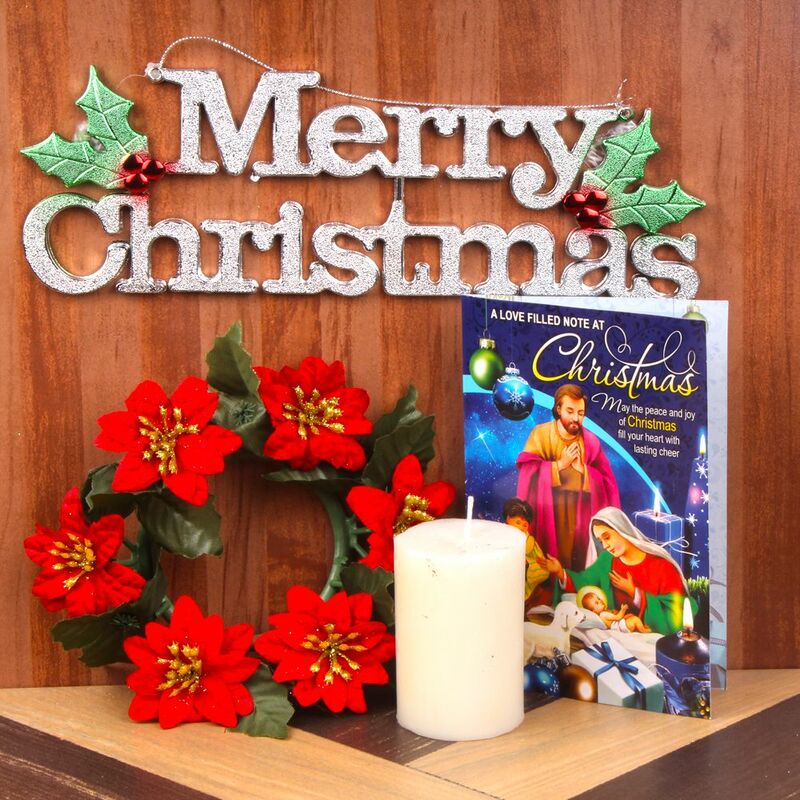 Product Consists : Floral Wreath along with Merry Christmas Banner and Pillar Candle with Christmas Greeting Card.